The 8 point face lift treatment is one of the most effective and popular alternatives to the more traditional surgical face lift treatment. With absolutely no invasive surgery required, the advanced 8 point face lift treatment involves the use of injectable fillers to subtly yet effectively enhance the required facial features. With almost no recovery time and comprehensively affordable prices, this innovative face lift treatment can provide a more youthful and radiant appearance almost instantaneously. This type of face lift treatment has been designed to reverse various signs of ageing, caused by the natural decrease in facial volume we experience with age. The 8 point face lift treatment results in a more youthful and plumped-up appearance, targeting the areas of the face affected most noticeably by the aging process. The combined 8 point approach leaving the entire face looking significantly younger for an enhanced overall appearance. Non-surgical facelift technology has advanced enormously over recent years. 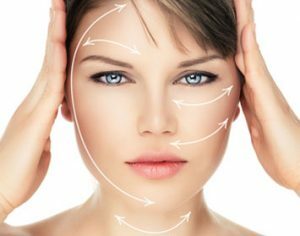 Here at HSA Dermal Clinic, we’re proud to offer a variety of non-surgical face lift treatments to suit all preferences and pockets. Our approach to the non-surgical face lift utilises the most advanced injectable fillers on the market, introduced beneath the skin to enhance facial features and create a more youthful appearance. After a single session, a non-surgical face lift can provide instantaneous results with no specific downtime or recovery. The non-surgical face lift represents a simpler, safer and significantly more affordable alternative to the traditional facelift. All the benefits of cutting-edge cosmetic surgery, without having to go under the knife. For more information or to discuss any of our cosmetic treatments in more detail, contact a member of the HSA Dermal Clinic team today to arrange an obligation-free consultation.